There’s no denying it: Texas loves its sports. The Dallas-Fort Worth area is a hotbed for football, soccer, baseball, softball, basketball and everything in between. As large crowds fill and leave sporting venues they often leave behind massive amounts of trash and messy waste from food and beverages. Arenas and stadiums are constantly littered with bottles, plastic wrappers, paper bags and tissue from enthusiastic and sometimes rowdy fans who support the teams and athletes. When a cleaning task of this magnitude is presented to you, feel free to call the cavalry for help. 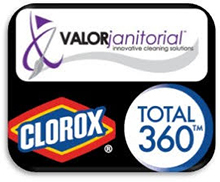 Valor Janitorial has the manpower, equipment and experience that it takes to get your sports complex clean again. We have the knowledge to clean up fields, floors, bleachers, locker rooms and hallways to get them ready for the next event. Our team of cleaning specialists is highly trained to handle just about any possible mess that your facility can serve up. At Valor Janitorial, our personnel take pride in earning your trust with fast, effective and efficient work every time we visit. Whether you’re looking for recurring sporting complex janitorial services or a one-time cleanup, we’re ready to cater to your needs. We provide the most advanced and state-of-the-art commercial cleaning services in North Texas. Please call our friendly and knowledgeable staff for a free estimate. Or, if you like, contact us with any of our easy to use website contact forms.